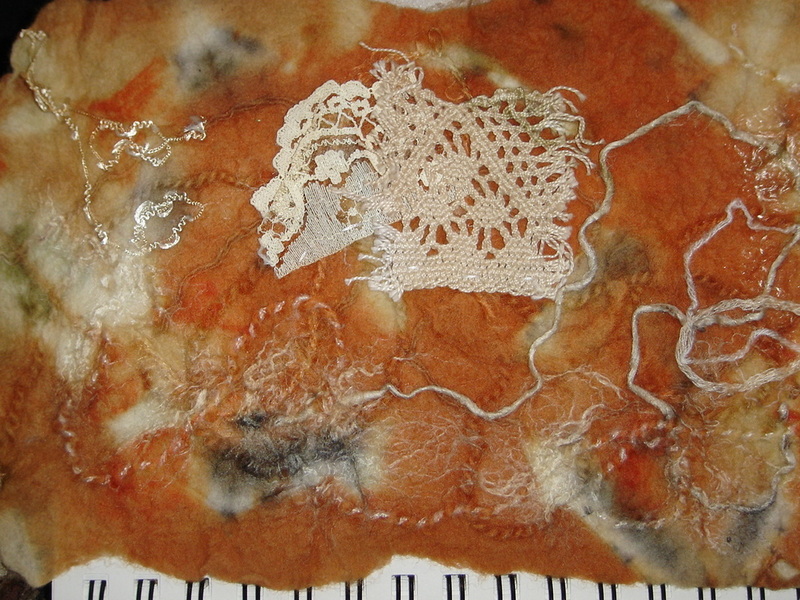 I often choose to organic dye the muka I use for weaving (whatu work) or silk/cotton that I use for felting. The eucalyptus, called silver dollar in NZ, gives lovely colours to fabric. The colour can depend on the age of the leaves, how long you boil it for, etc. The tree is not easy to find but has the most beautiful smell and silvery leaves. Most plants from your garden can be used as a dye, and some fruits and vegetables (beetroot, onions, etc). below are some I have already tried. If you have bits of copper or rusted nails/metal these can give some interesting combinations. 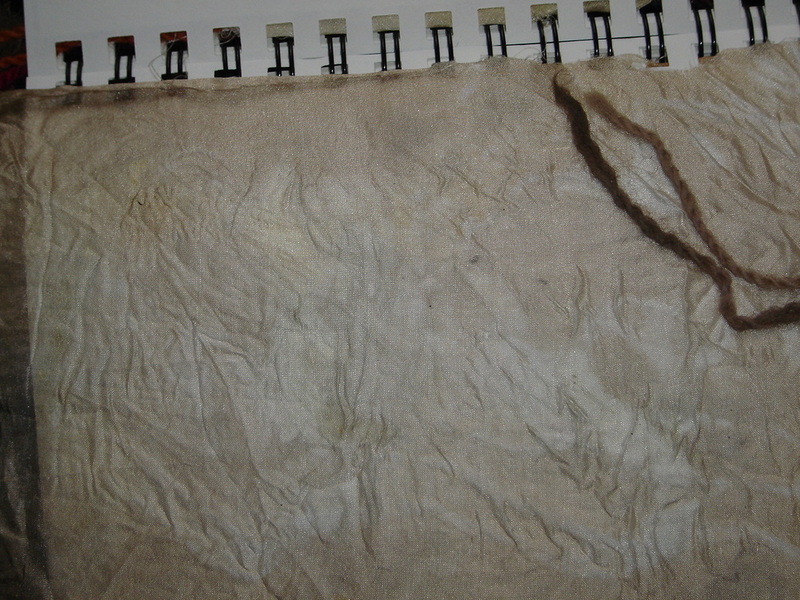 The photograph on the left shows the various colours I achieved with eucalyptus, by dipping the silk in the eucalyptus bath. Beforehand I wrapped leaves and bits of branch to the fabric, then rolled it and tyed it and then simmered it for an hour on the eucalyptus bath. 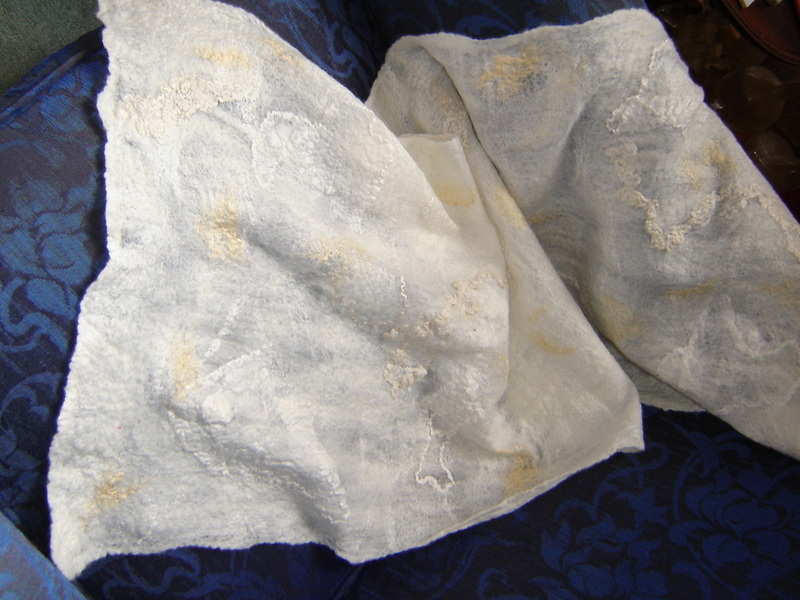 To solar dye, I have nuno felted silk fabric with white merino and merino/silk mix as well as different types of silk for decoration (silk hankies, silk fibres, etc). 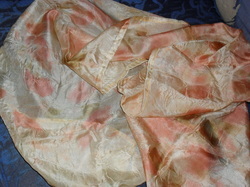 This the colour of my wrap after sitting in a jar for 5 weeks solar dyeing. 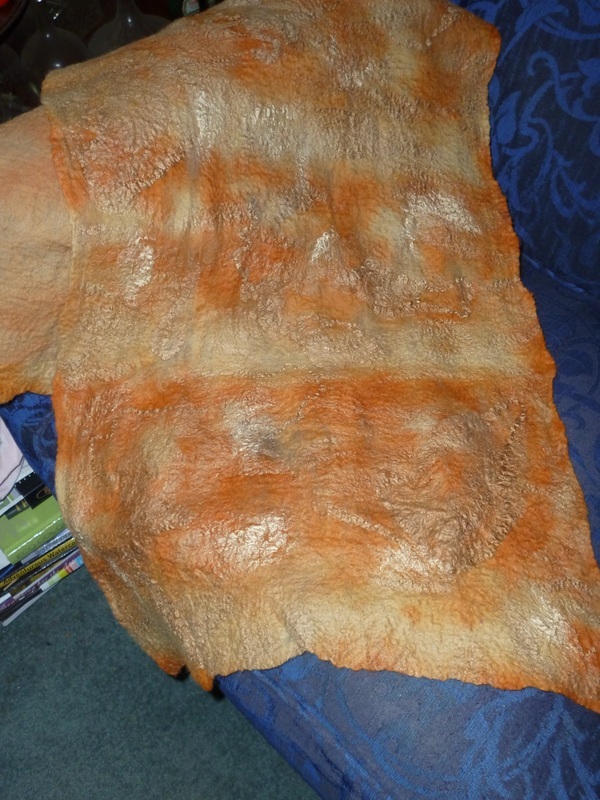 It looks stripped with a lovely range of colours I am pleased. 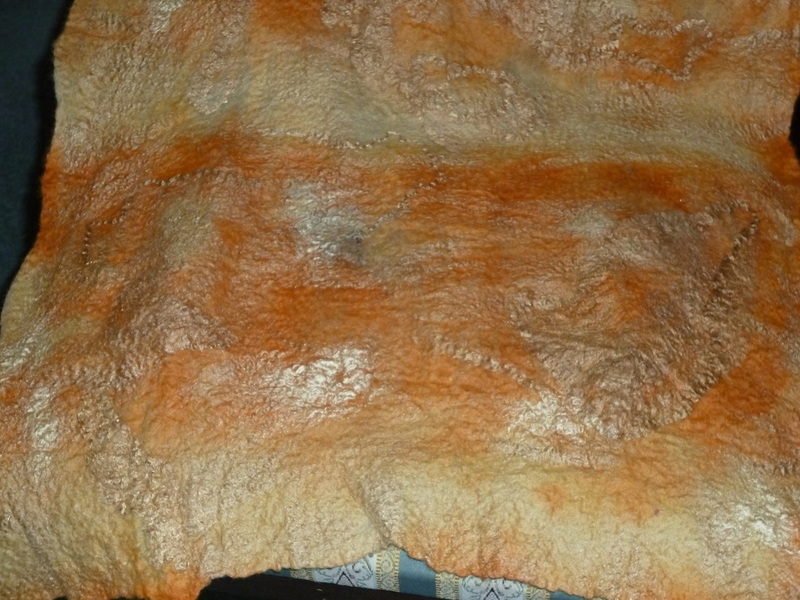 This one was dyed using madder root, I used allum as a mordant. 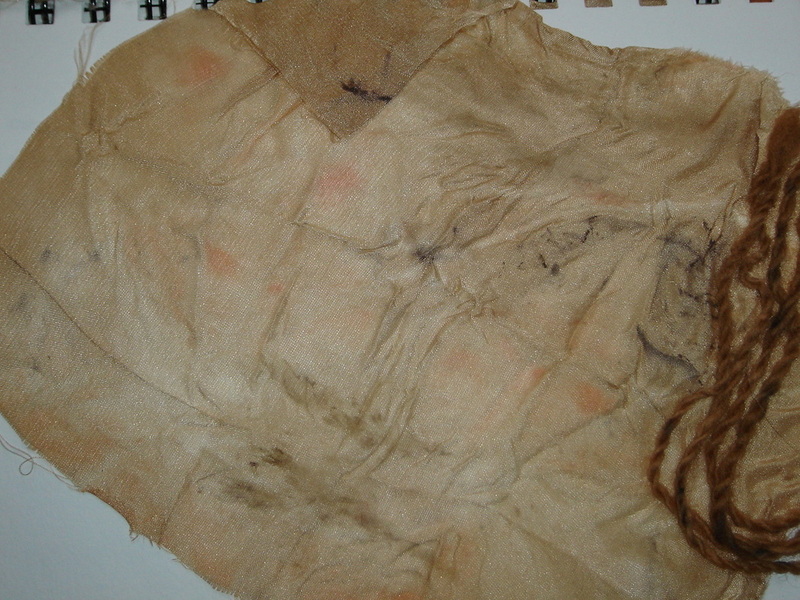 This was the first dye bath of madder. 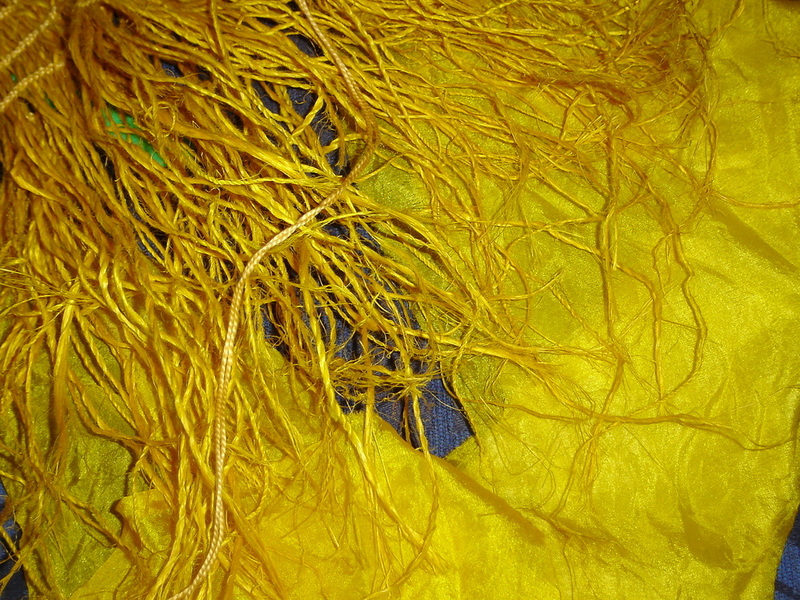 I saved the roots and will try a 2nd and 3rd bath as i am told will give a different colour.. the fabric is silk and the crochet s cotton.